If you want to restore the glow of your skin or minimize the appearance of colored spots or fine lines, talk to our Licensed Aesthetician at Suite 200 Med Spa about microdermabrasion.  We use Crystal-Free DiamondTome™ wands to safely and effectively revitalize skin for patients in Bryn Mawr, Pennsylvania, and the surrounding area. Microdermabrasion helps improve skin’s appearance by targeting dead skin and reducing symptoms such as dullness and brown spots. During the procedure, our Licensed Aesthetician gently resurfaces your skin with the Crystal-Free DiamondTome wands. How do Crystal-Free DiamondTome wands work? Crystal-Free DiamondTome wands gently exfoliate away skin’s dead outer layer with natural diamond chips while efficiently vacuuming away the dead cells. This process reveals smoother more vibrant skin and encourages the growth of new healthy skin cells. Microdermabrasion is a safe and gentle procedure, so you won’t likely experience pain. DiamondTome™ wands, in particular, are designed for painless, effective results. Even after your first microdermabrasion treatment, your skin will feel smoother. Visible results may appear after your first treatment but more significant, longer-lasting results typically occur after a series of 6-8 treatments spaced 2 weeks apart. You may then benefit from maintenance treatments once every 2-3 months. Microdermabrasion is unlikely to cause any serious side effects. Immediately after treatment your skin may appear mildly flushed, but any redness should diminish on its own within 30 minutes. Makeup can be worn immediately after. In fact, makeup looks beautiful when applied after and this is great to have done prior to a big event. Your skin may feel dry and tight for up to 24 hours, which moisturizer can help address. But because there’s no need for downtime, you can get back to your daily life as usual. SPF 50 must be worn and no sun exposure for 72 hours. Microdermabrasion is safe in and of itself, but you may not be an ideal candidate if you currently have active acne, skin cancer, uncontrolled diabetes or viral lesions. It’s not recommended during pregnancy and will not remove tattoos.